Mitchell Crane supports Terex and American Cranes by providing field service, technical support, genuine Terex and American new crane parts, aftermarket new crane parts and used crane parts. With factory backed support and our extensive experience, Mitchell Crane is positioned to be your first call for Terex and American crane parts and services. When working with budgets and time constraints Mitchell Crane can provide you with solutions to get your machinery back up and running. Mitchell Crane maintains a larger inventory of new, used and repaired parts for your American crane by dedicating resources to this sole purpose which means less down time for you. Many shafts, gears, sprockets and other parts for your American or Terex crane are in stock now. In addition to maintaining our large inventory of parts we are constantly purchasing used Terex and American Crane for the purpose of dismantling them for used parts, further enabling us to provide cost effective solutions to your crane repairs. 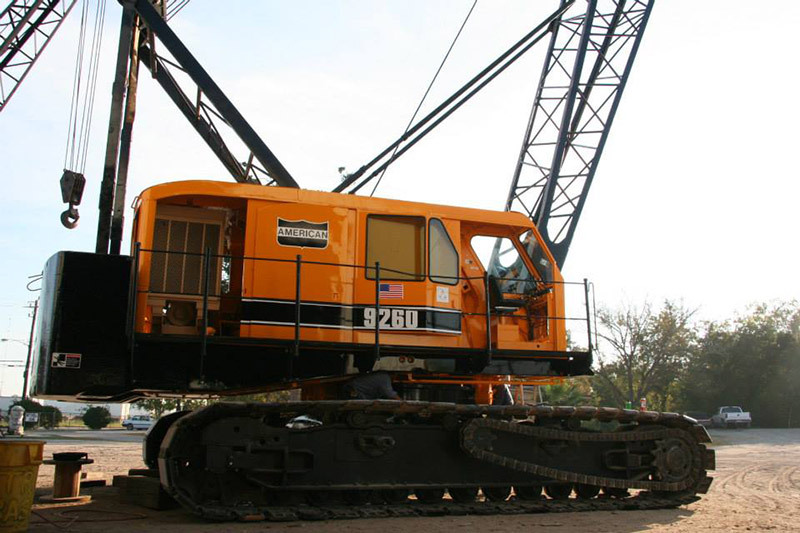 From mobile field repair to complete machine rebuilds, Mitchell Crane’s service department is seasoned with a long history of serving Terex and American crawler cranes. More than 40 years experience has lead to today’s Mitchell Crane service department being an industry leader in American Crane knowledge and stands apart as the clear choice for top quality repair.